Cube. 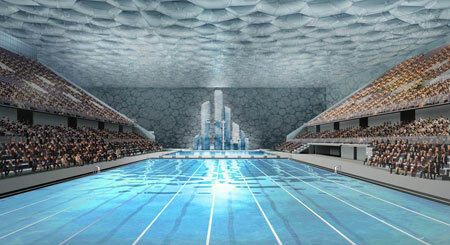 The venue, covered by a tough plastic made to look like bubbling water, will be used for swimming events during the 2008 Beijing Summer Olympic Games. 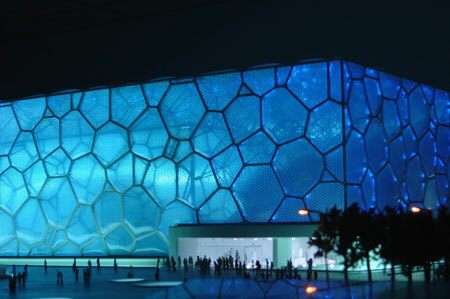 The Olympic water cube structure is environmentally friendly, to boot — the translucent shell lets in natural sunlight, providing heat and lighting and cutting energy costs by 30 percent.